Anniversary gemstones offer a great way to mark a wedding anniversary. An engagement and wedding are generally a prelude to the responsibilities, commitment and sacrifice that family life brings. Each year of family life brings challenges and achievements, an anniversary jewel is perfectly in order. Young couples are increasingly choosing simple and affordable wedding rings, the more elaborate and extravagant buying is left for anniversary celebrations. When planning to make a jewelry purchase for any occasion, it is always a good idea to begin with a clear budget in mind. There is a long list of anniversary stones, since not all gems are priced the same budget requirements will differ. 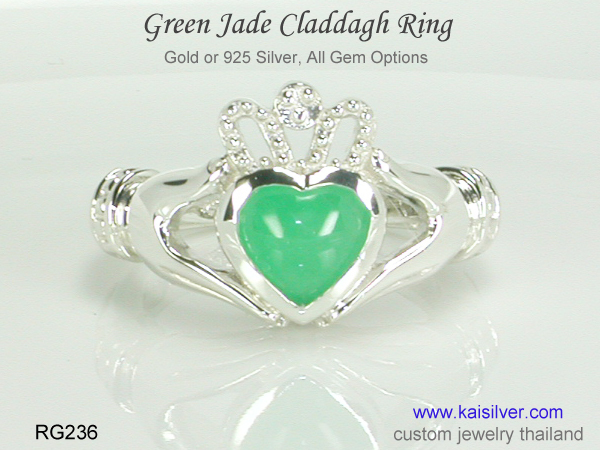 You can often moderate the price of an anniversary gemstone jewel by, working on different design ideas. For example, if the celebration is for the 5th wedding anniversary, you might have to choose a design where the gem size is not very large. 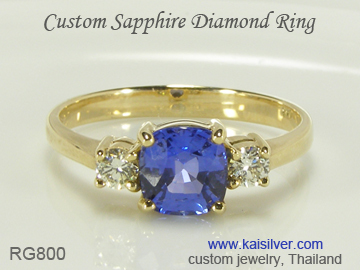 You would surely be aware that sapphires are expensive, larger sizes carry a premium. So is it necessary to celebrate each wedding anniversary with a specific gemstone jewel. The answer is surely no, you could pick a few important anniversaries and mark them with a gemstone jewel. In our opinion the first wedding anniversary does offer a good reason to celebrate. The gemstone is a pearl and you not spend a fortune on the piece. Another anniversary that should ideally be celebrated, would be the year when a new entrant arrives in the family. Don't end with the first baby, every new entrant is a reason to celebrate. Consider celebrating the 5th, 10th, 15th etc anniversaries. If these suggestions are not feasible for whatever reason, you can pick the main wedding anniversaries the 10th, 25th, 50th, 60th, 75th etc. An anniversary stone would obviously be worn in a gold or 925 silver piece of jewelry. So should you choose a ring, pendant or any other jewelry to mark a wedding anniversary. While there is no 'best' jewel and personal preference will prevail, we can provide some useful tips. Anniversary rings are popular and awesome but, rings can be a problem if you need to do a lot of physical activity using your hands. A pair elegant anniversary stone studs would be a nice idea, earrings are easy to maintain and can effortlessly add expression and interest to the face. As you look around for an anniversary gemstone jewel, remember that the meaning and significance is in the event and not in the jewel. Go for the most extravagant piece if you can budget for that but, do not worry if all you can pay for is a simple jewel. Seasoned jewelry lovers today give equal importance to gold and 925 silver jewels, the focus is on quality of design, workmanship and gemstones. 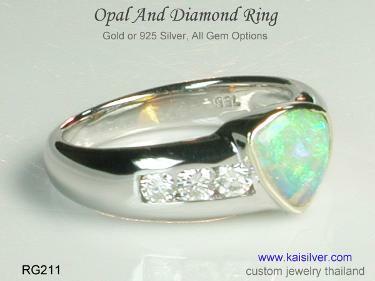 Choosing a silver jewelry might often mean that, you get more budget to invest in the gemstone.